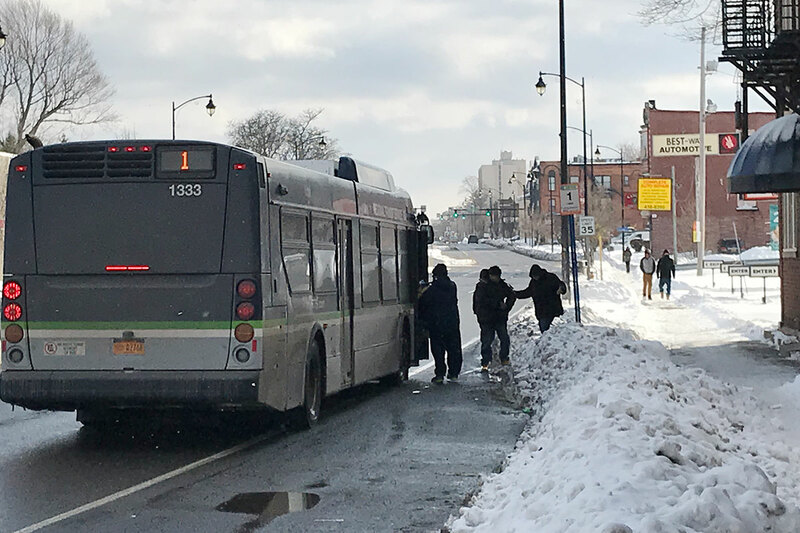 Sidewalk Snow Removal: How Are We Doing in Monroe County? For tens of thousands of Monroe County residents, a sidewalk isn’t just a convenience. It’s a vital connection to the world. Nearly 12,000 people here walk to their jobs, U.S. Census data shows. Another 13,000 walk to and from bus stops in order to take public transportation to work, including as many as 1 in 3 workers in some city neighborhoods. Many people also rely on sidewalks to get to and from school, medical appointments or grocery stores, much less to go for a jog or walk the dog. So for many people, it isn’t simply an annoyance if part of a sidewalk turns into a snowdrift during the winter. It’s a disruption that forces people going about daily routines to wade through snow or take a dangerous chance and walk in the street. For people with disabilities, a snowy sidewalk can make a usually simple outing impossible.